White House quarterback Andrew Nixon leads the list of 22 players named to the Main Street Preps preseason All-Sumner County football team. Nixon’s teammate, running back Preston Sharber, was also named to the team as was Hendersonville running back Derek Kincaid. Two 2017 Main Street Preps all-county first teamers, Bailey Silcox of Gallatin and Delaney Williams of Beech, were named to the pre-season defensive team. 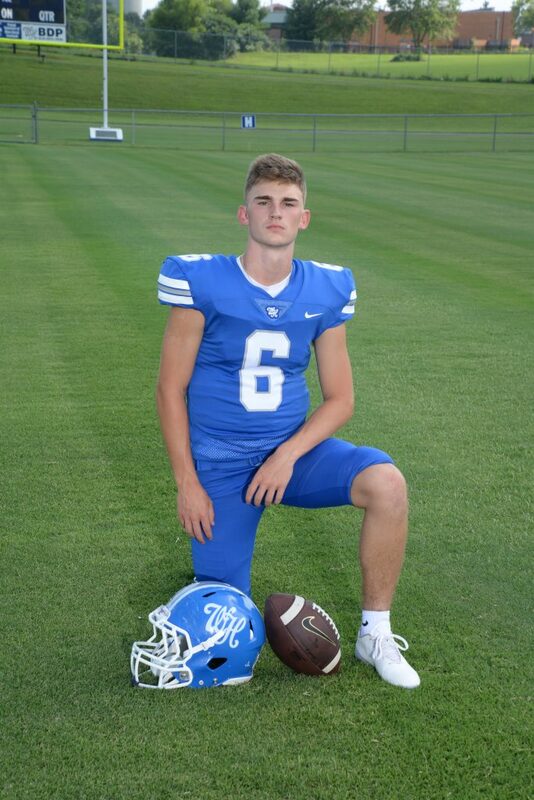 Nixon was named second team quarterback following the 2017 season and with plenty of playmakers returning for the Blue Devils at the skill position, I expect Nixon and company to have a solid year. Kincaid earned second team running back following a 2017 campaign that saw nearly 600 yards on the ground on just 61 rushes and additional 14 receptions for 150 yards totaling five touchdowns. Kincaid will lead a three-headed backfield that includes Helton Porter and Logan Spurrier, but much like Anthony Hughes was for HHS last year Kincaid should get the bulk of the carries. Sharber rushed for 564 yards and eight touchdowns last year earning him third team All-Sumner. His knowledge for the running back position plus having other playmakers on offense should help pave the way for an exceptional 2018 season. White missed half of last season with a broken finger, but still managed 25 receptions, two touchdowns and a 14-yard-per-catch average. White is a big receiver that can go up and get the football. 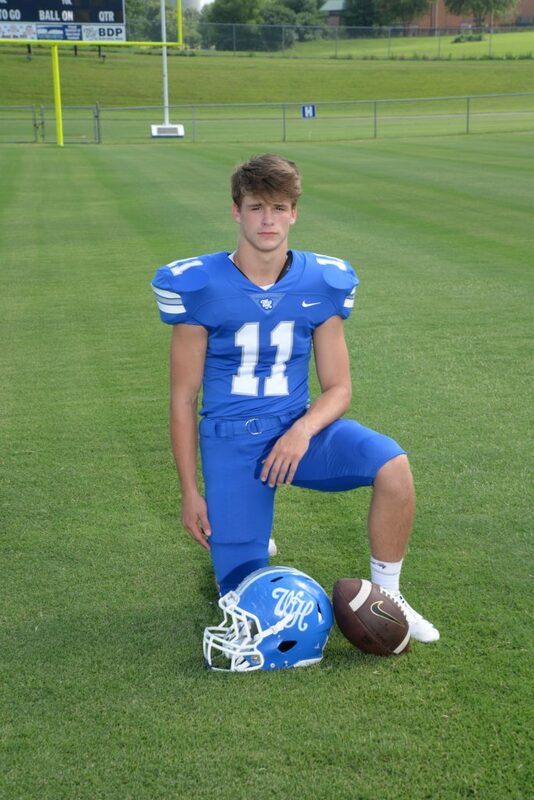 He plays in the toughest division in all of high school football, DII-AAA, so he will always be a key target for the opposition on Friday nights. Alexander is a playmaker that can easily get you 10 yards on a jet sweep but can burn you deep on a go route. His athletic skill set allows him to be a valuable weapon on kick offs and punt returns. Alexander should get a ton of targets this season. Halas is a big, strong kid that is light on his feet and his big hands make for an easy target when throwing the football or moving around opposing defensive lineman. Halas will be counted upon this season to help guide the Commando army. Weekley will be a key component to Station Camp’s defense this season. A big linebacker, Weekley expects to lead the Bison defense in 2018. Morris had a really good season for Gallatin last year and with a more opportunities in 2018, Morris could have a breakout year as one of the top players in the county. If Josh Dutcher can stay on the football field in 2018 look out. 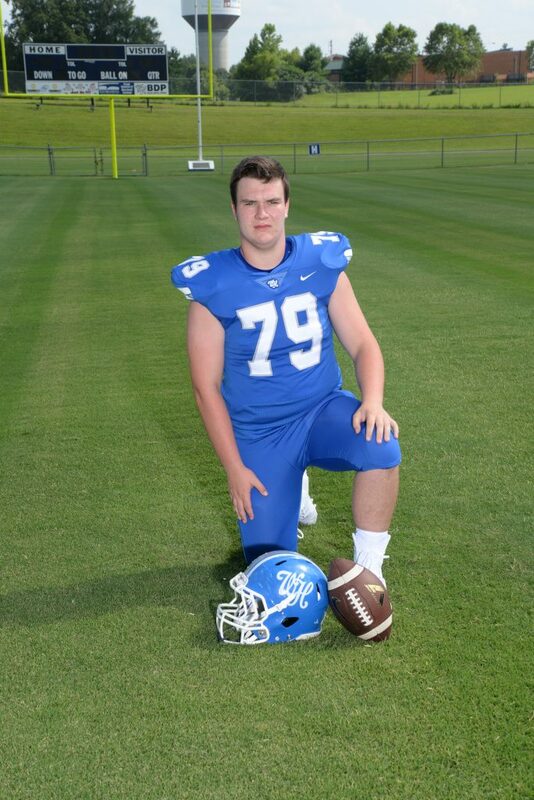 Dutcher is a big, physical kid that loves the game of football. Unfortunately for Dutcher the injury bug has plagued him the last three seasons, so if the Panthers can get a full schedule out of him for his senior season it could spell big things for the purple and white this fall. Hancock registered 36 tackles, four tackles for loss 14 pass breakups, one interception and one forced fumble a season ago. He will lead the Commando secondary this fall. Big things are expected out of #20 this season. Curtis is an experienced defensive back that knows coverages and assignments. Curtis will be a vocal key to Tony Adams defense this fall. High expectations for the defensive unit is nothing new for the Panther coaching staff. Spurrier earned third team All Sumner defense a year ago and looks to improve on 2017. Spurrier tallied 35 tackles and one interception last year. Aaron Foxx plays tailback, quarterback, linebacker and probably defensive back if you really needed him, but more than anything I wanted to get him on the list as the best 22 in Sumner County. Foxx returns with a lot of confidence garnered from a season ago and will try to lead a very inexperienced Bucs unit on both offense and defense. I expect big things from Foxx in 2018.